Happy Friday, everyone! Can you believe it's mid-December already?! Christmas is coming and what are your plans? I've already planned something to do during the christmas holiday. Unfortunately, I still haven't have time to decorate my house yet. Have you guys decorate your house yet? Anyway, I'll keep you guys updating on what I'll be doing by using Instagram stories! 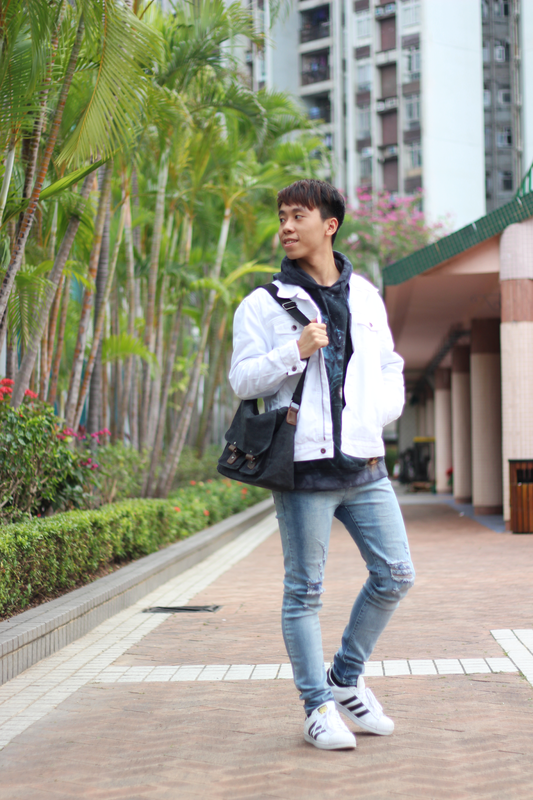 About the outfits that I was wearing, I finally wore the white denim jacket that I got on sale a few months ago from H&M. You guys know I've a huge crush in white clothing, right? 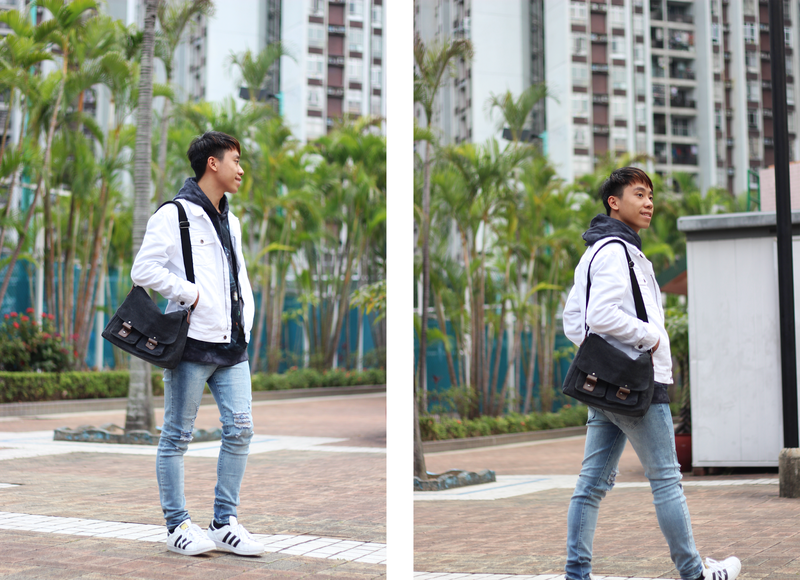 I paired the denim jacket with the oversized hoodie that I got from The Mountain. Also, I was wearing this lovely distressed jeans from Sammydress. The bag was from Sammydress as well. It definitely help me a lot when I hang out with my friends casually that I don't need to carry much things. Lastly, it's the Adidas Originals Superstar sneakers again. They just fitted every outfits that I wore! Do you guys like this look? Luv the distressed jeans. Haven't decorated yet, hoping to do so this weekend. always lOVe your outfits honey! I love this fresh look, Daniel! That white denim jacket looks great paired with the black graphic tee and Adidas! I hope you're able to start your Christmas decorating this weekend, have fun! I love this look! Such a fresh look! Hi Daniel! 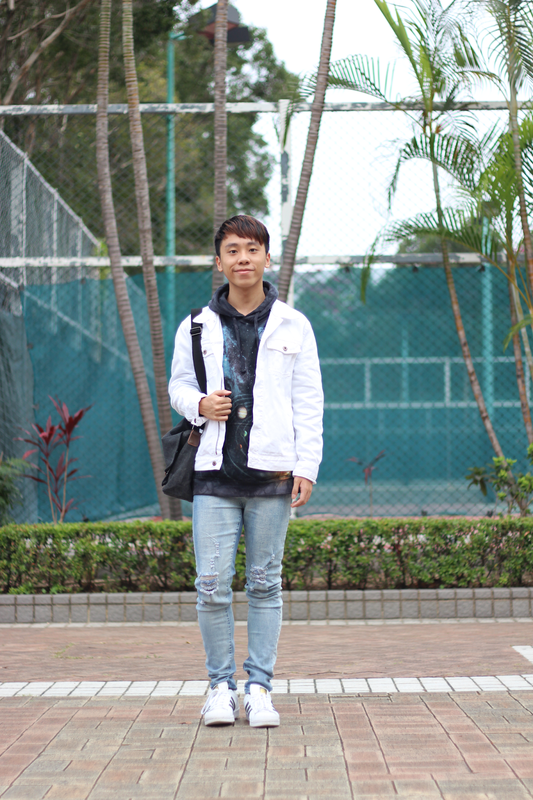 Loving your white denim jacket, I also like to wear the white clothes in winter! Love the look, Daniel! So rad! This is such a great look! Love the white jacket layered over the hoodie! love the layering! awesome style! Love that white denim jacket! Such a cool look! Love this look on you Daniel, the hoodie is amazing! 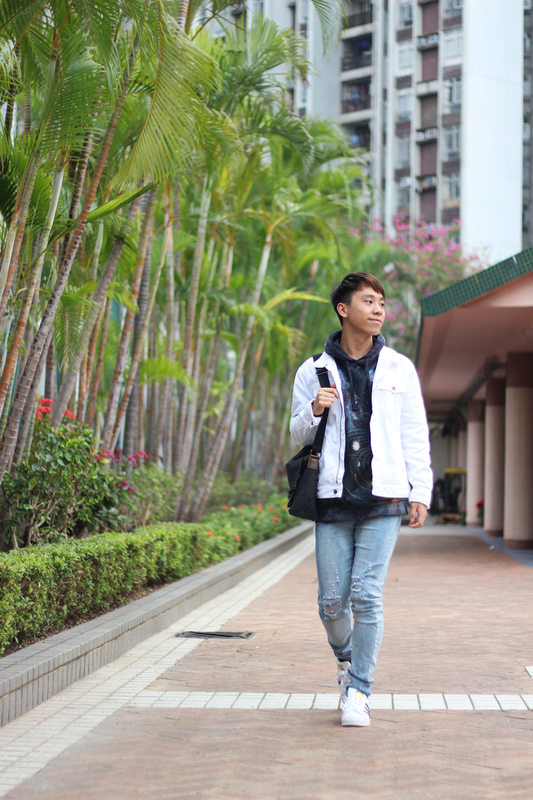 Love the white denim jacket! You're killing it in that white jacket! Love the jeans, jacket and the superstars. Boy, you look great!